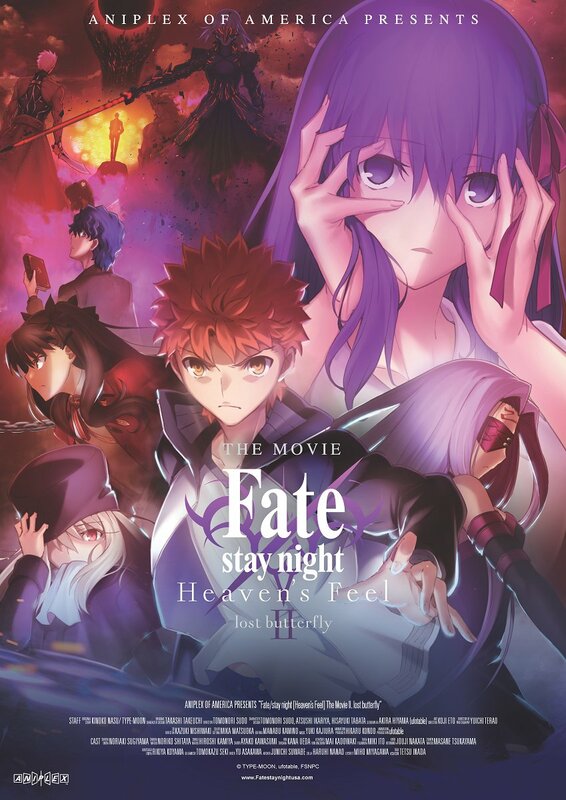 Aniplex USA has taken to social media to announce that Fate/stay night: Heaven’s Feel II. lost butterfly will release nationwide in the US on March 14, 2019. The film will be distributed nationwide by Fathom Events. In addition to this news, a US premiere will be held at Regal LA Live before the nationwide release. This will take place on February 23, 2019 at 11:00 am and 2:30 pm PST. Tickets for the US premiere go on sale on January 17, 2019 at 11:00 am PST. You can purchase tickets for the premiere HERE. Please note, the link will not be live until ticket sales go up. Fate/stay night: Heaven’s Feel II. lost butterfly is the 2nd in a trilogy of films that adapts the “Heaven’s Feel” route from Fate/stay night. It was preceded by presage flower which premiered in the US in November 2017. Are you ready to experience more of the most twisted route in Fate/stay night?